So, you’ve chosen your domain name How Do You Pick A Great Domain Name? How Do You Pick A Great Domain Name? Choosing the perfect domain name for your website is like choosing the perfect name for your first child. Increase the likelihood of online success with these tips. There's a lot in a name! Read More . You have a killer idea for a project. You’re fired up, and ready to unleash your latest and greatest creation upon the internet. After scouring the internet looking for the best web hosting, you’ve landed yourself a sweet deal on a VPS. There’s one problem though. You don’t know the first thing about operating Linux through its powerful command line. To do that, I’ve span up a DigitalOcean instance running Ubuntu 13.10 x64. Digital Ocean are a VPS provider I’ve got a soft spot for; offering quality service and fast virtualized servers with a starting price of $5. I recommend them highly, although there are other VPS providers out there who are quite good. Whilst we’re going to be installing Ghost on a Digital Ocean VPS – which comes with a Ghost installer – we’re going to ignore the installer and do this the hard way. First things first, we need to SSH into our box. This should be relatively straightforward if you run Linux or OS X, as they both come with an SSH client built in. Windows users are encouraged to check out PuTTY, which is a pretty incredible, open source SSH client, although there are a number of incredible alternatives 4 Easy Ways to Use SSH In Windows 4 Easy Ways to Use SSH In Windows SSH is the de facto solution for securely accessing remote terminals on Linux and other UNIX-like systems. If you have a remote SSH server you want to access, you'll have to download an SSH client.... Read More , including ones which plug into your web browser. Note that if you’ve logged in as Root, you won’t need to write ‘sudo’. Sudo is used for accounts to temporarily escalate their privileges in order to perform a command which affects the underlying operating system. Now, grab a copy of build-essential and zip. This is the third time we’ve had to use a command which does something with apt-get. So, what is it? 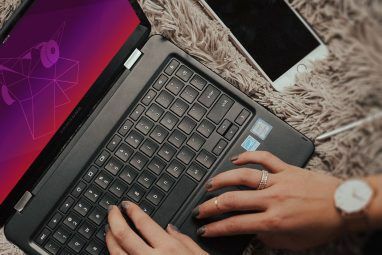 Apt-get is the package manager used in Debian, Ubuntu and Linux Mint Your Guide to Ubuntu Repositories and Package Management Your Guide to Ubuntu Repositories and Package Management Read More . It allows us to keep track of all the packages on your system and install new ones, as well as delete and update them. Cool, right? You also need the Node Package Manager (NPM). Create a symbolic link between /usr/bin/nodejs and /usr/bin/node, grab the NPM installer and run it. This is the first time we’ve came across curl. It’s actually a pretty cool utility for Linux which allows us to transfer data between programs. In this example, we’re using it to grab a copy of the NPM install script. This is then executed with ‘| sudo sh’. Before we go any further, let’s verify that we’ve got Node and NPM installed. If your screen looks a bit like mine, feel free to proceed onwards. If you see an error, something went wrong. Try revisiting the earlier steps, or dropping me a comment below. Awesome. Now, let’s grab Ghost and open it up! If you’re not already in it, switch into the Ghost directory and install it using NPM. To check if this works, navigate to the server you installed Ghost on with your web browser, ensuring that it has the port number which you specified in config.js. Now, time to install WordPress. We’re going to start from scratch here with a fresh Digital Ocean droplet. As before, SSH into your server, update the package manager and install all updates. Once you’ve done that, we’re going to start off by creating our LAMP stack The Best Linux Web Server Software (& Apache Alternatives) The Best Linux Web Server Software (& Apache Alternatives) Read More . This stands for ‘Linux, Apache, MySQL and PHP’, and refers to the platform, web server, database and programming language used to run our installation of WordPress. Getting your LAMP stack set up is easier than it sounds. Admittedly, there’s a small laundry-list of dependencies you have to install. Fortunately, Ubuntu comes with a nice one-liner which handles everything for you. Your MySQL server is where you store all of your data. As a result, you are strongly advised to create a strong root password for your server when prompted. And that’s it. Seriously. That’s totally it. You’ve now set up your LAMP server. Now to install WordPress! We first need to create the table in which WordPress A Step-by-Step MySQL Tutorial For Self-Hosted Wordpress Bloggers A Step-by-Step MySQL Tutorial For Self-Hosted Wordpress Bloggers If you’re a blogger, the chances are that you use WordPress. 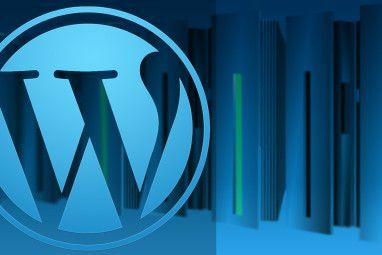 There are two ways in which you can use WordPress, ideal for those with some technical know-how and those without. The first is to... Read More will store our blog posts, as well as the database user which WordPress will use to interact with the database. Log in to MySQL. Now, run the following lines of code. Take care to enter each line individually. Now, download and unzip WordPress. Notice how we used wget here instead of curl? Either work, in this instance and are pretty much interchangeable. Within this context, they are both doing the same thing, more or less. Move WordPress to /var/www and grant read, write and execute permissions to this directory. Take care to include the -R flag. This makes it recursive. Now, in your browser, navigate to <ip address>/wordpress. If you’ve followed these instructions, you should see this page. You’ll then be required to create a configuration file using the web interface. Follow the instructions provided, and soon enough you’ll have your very own WordPress installation. Sweet, eh? Before we finish up, I want to talk briefly about Bitnami. If you’re rocking an AWS 4 Great Uses for Amazon's S3 Web Services 4 Great Uses for Amazon's S3 Web Services Despite Amazon being most well known for their retail services, they actually offer a host of web services for developers and home users that take advantage of Amazons experience and scalability with massive amounts of... Read More server, this is definitely something you should investigate. 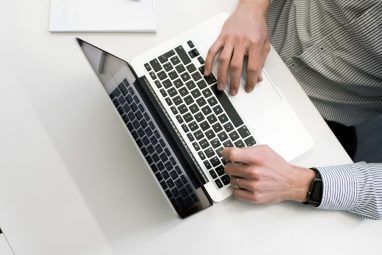 This Spanish startup makes it easy to remotely deploy popular web applications to your AWS slice, including Drupal and WordPress. If that sounds like too much hassle, you can even get Bitnami to sort you out with a server. Just expect to pay a slight premium for this. I’m not going to look too much into this, as it’s a bit platform specific. However, if you’re desperate to give them a try, they offer free 1 hour installations of your web-application of choice. As for the rest of this article, what I’m going to discuss should work on any server running GNU/Linux. The Linux command line can be intimidating at first. There’s no doubt about that. If you’ve accidentally found yourself saddled with SSH-only web hosting, you’re going to have to get your feet wet with the command line in order to get anything done. Fortunately, if you can install one web app, you can install them all. All you need is a bit of confidence with the Linux command line, and the ability to google whatever problems crop up. Have you ever signed up for SSH only web hosting by accident? I’d love to hear all about it. Drop me a comment below. Explore more about: Terminal, Ubuntu, Wordpress. Thanks Matthew. Your explanation is really appreciable. I am also using VPS hosting from Trijit. And I am feeling good. Your article has made me more comfortable to use of it. Thanks Rob. I really appreciate it! 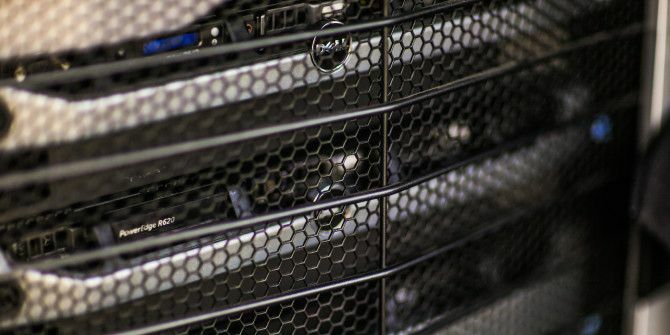 Great explanation, I'm looking into diving into the VPS world, but I'm used to cPanel... I've noticed a lot of VPS services offer it, but charge a premium. I've read (on here) that there's some free alternatives that are quite similar, and have read about a few of them. Any chance of getting you to do an article on how to get something like that up and running on a VPS, specifically through digital ocean (who I'll probably end up using). Just so I fully understand, are you asking about how one could install an alternative to cPanel (such as the imaginatively named zPanel or Kloto) on a VPS? Yes, I probably could have worded my request a little better. Kind of a VPS for Dummies who are spoiled with the convenience of shared hosting shortcuts. Any tips to help someone like me feel more at home once I've setup a droplet.